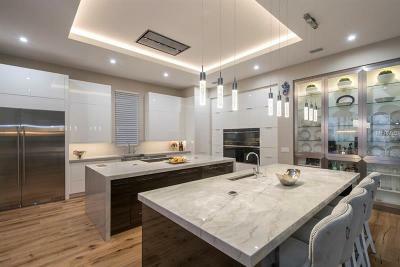 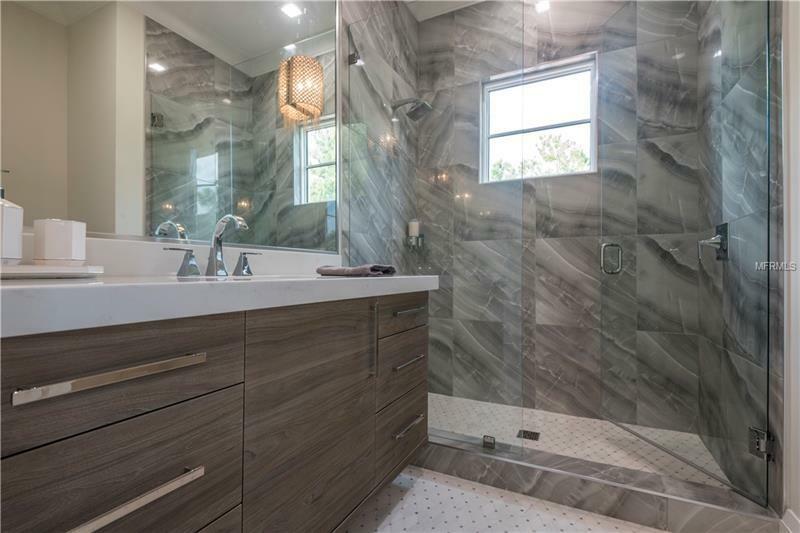 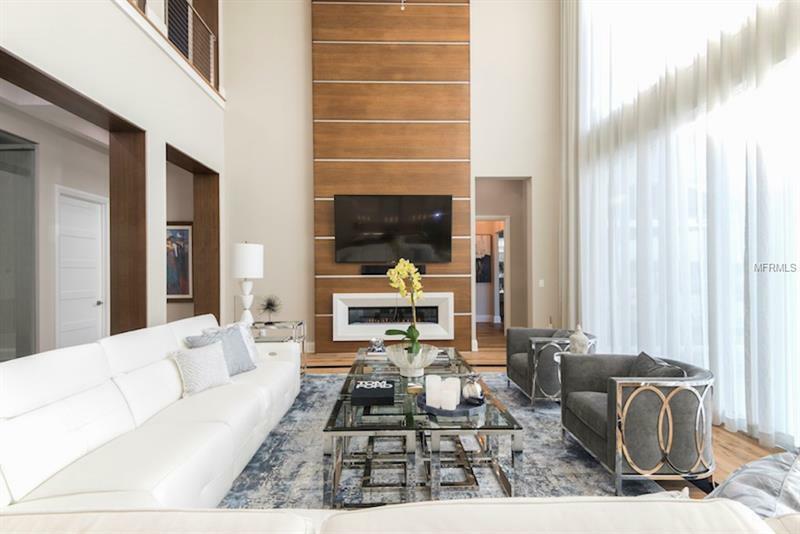 Award Winner of 2018 Orlando Parade of Homes and CTA Consumer Electronics Association. 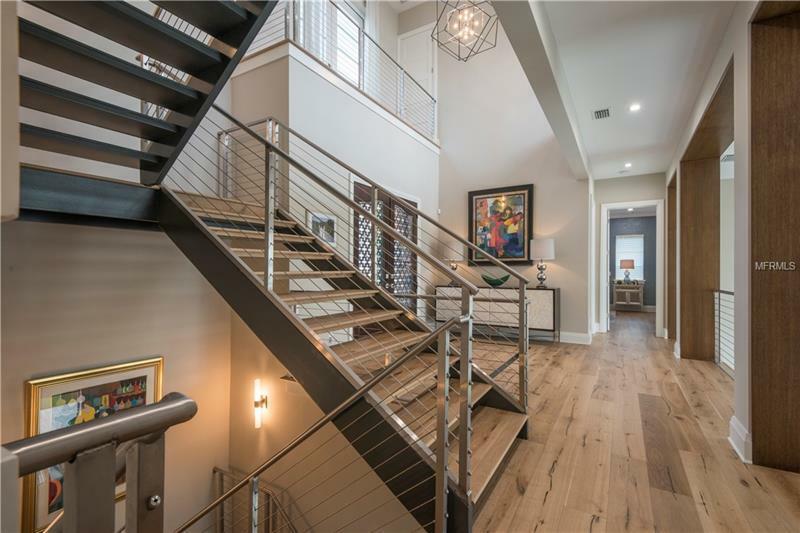 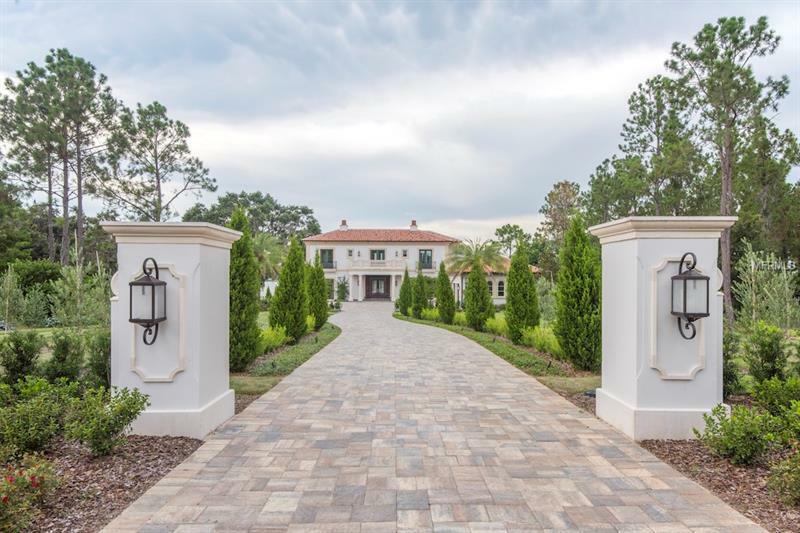 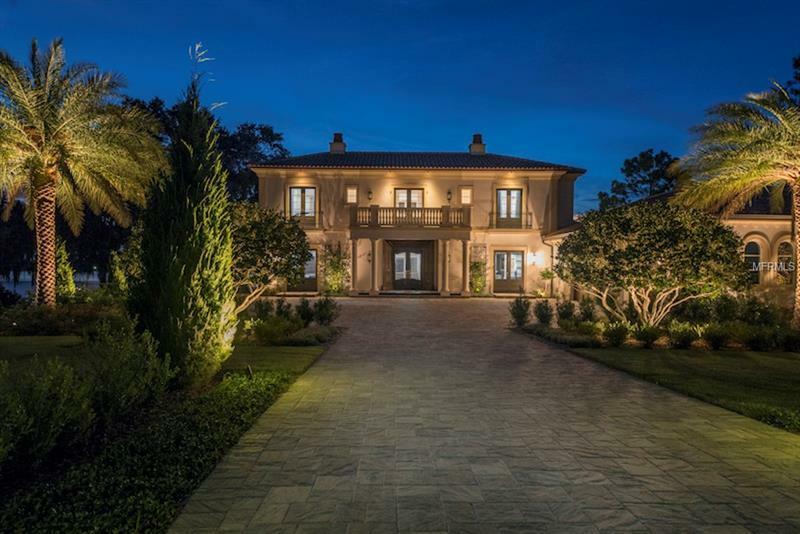 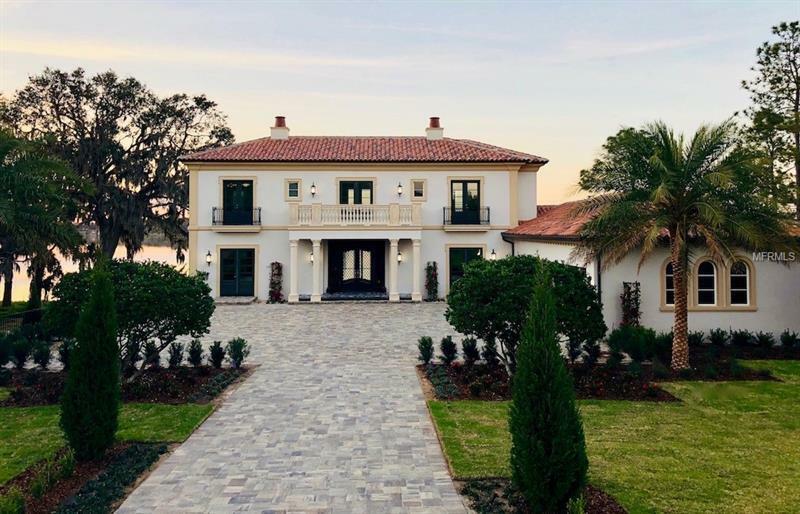 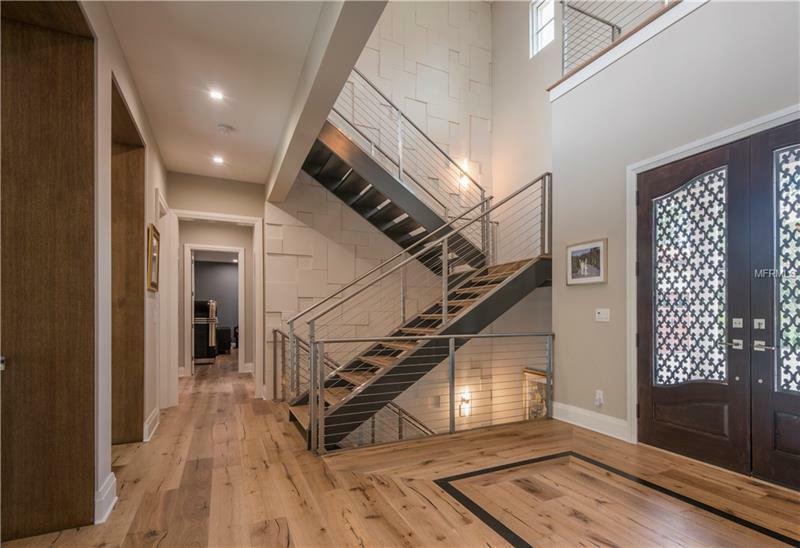 The beautiful Tuscan villa is the homeâs exterior and is balanced by its stunning contemporary transitional interior and architectural features that embrace the character and modern charm throughout the welcoming floor plan. 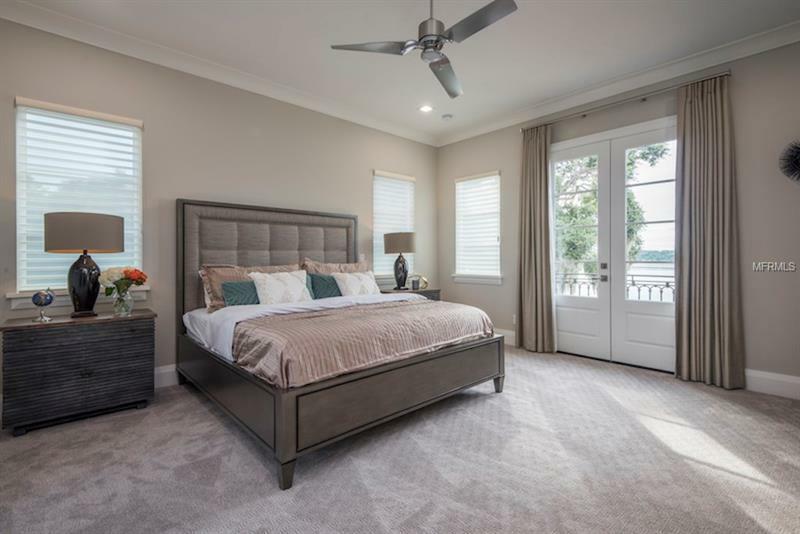 The property offers 4 bedrooms 4 full and 3 half bathrooms among 5916 square feet of conditioned living space. 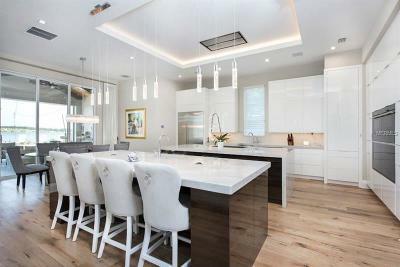 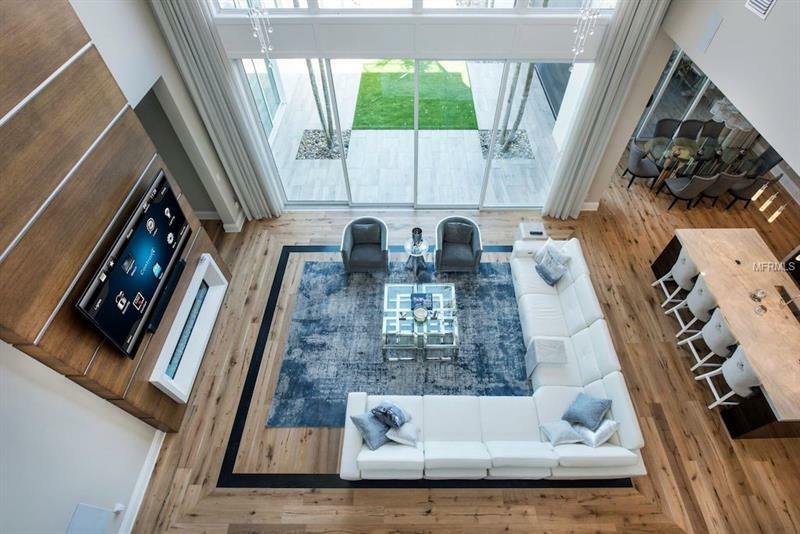 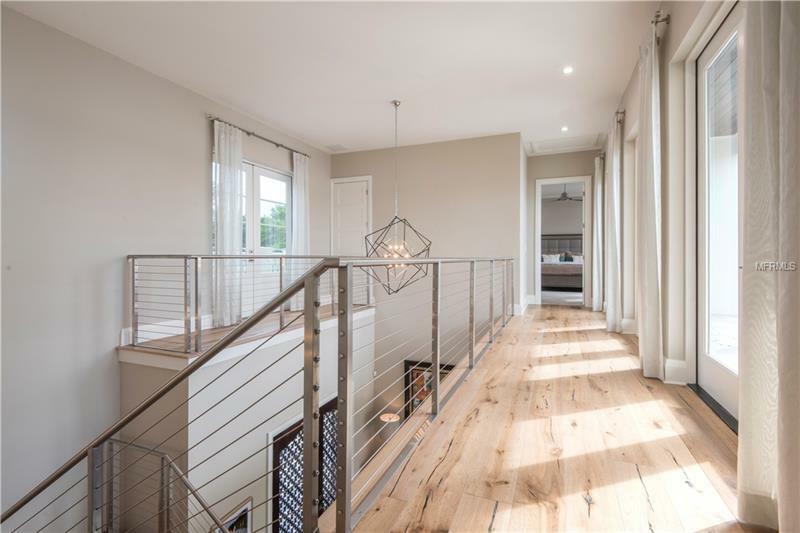 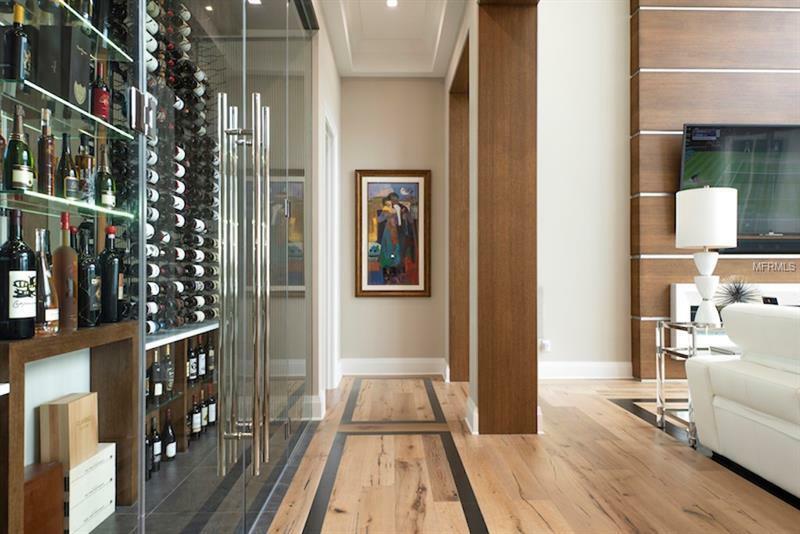 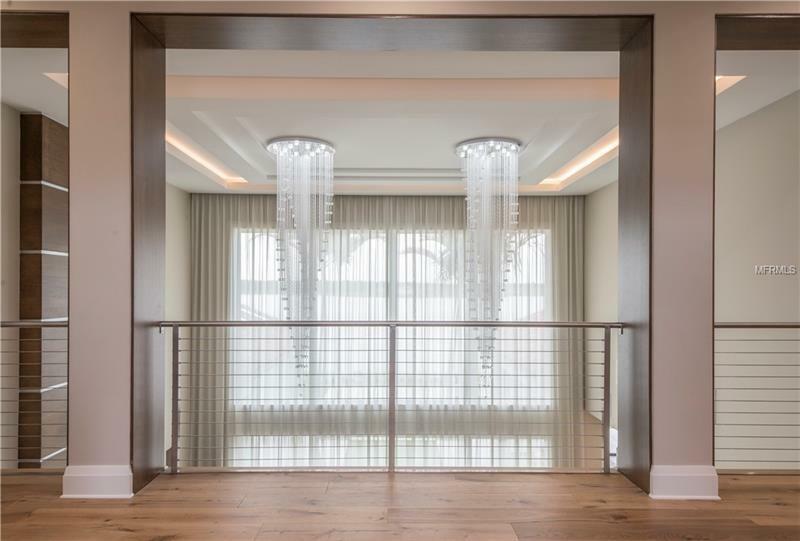 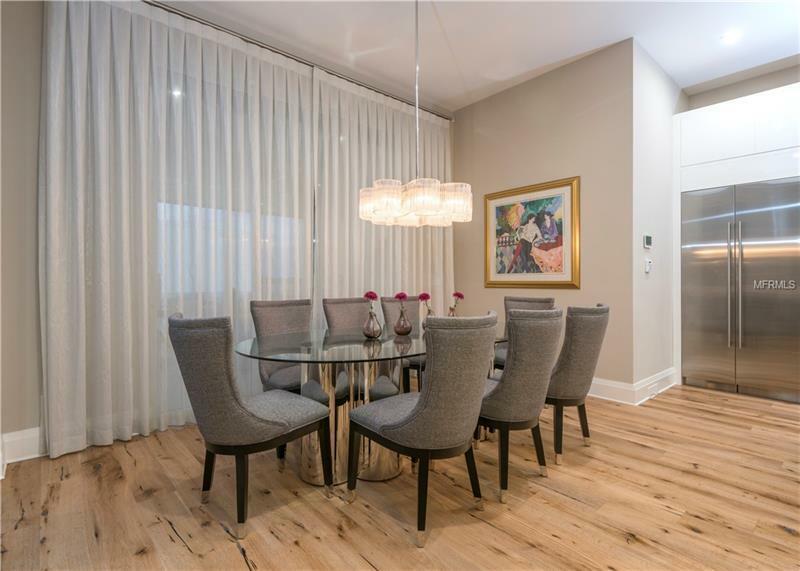 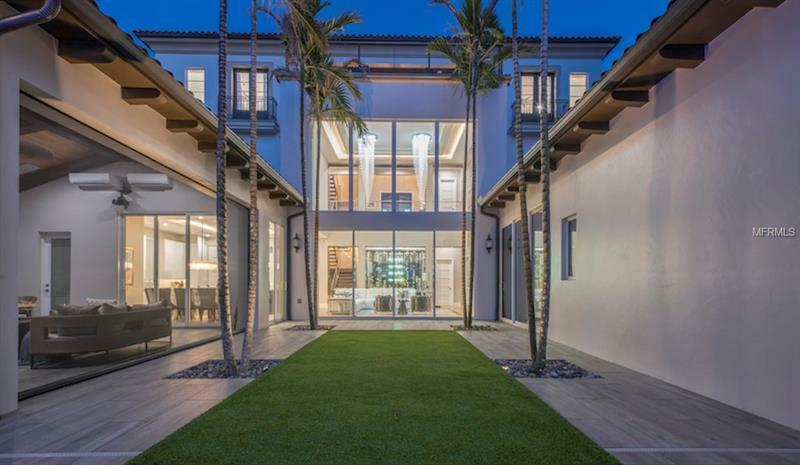 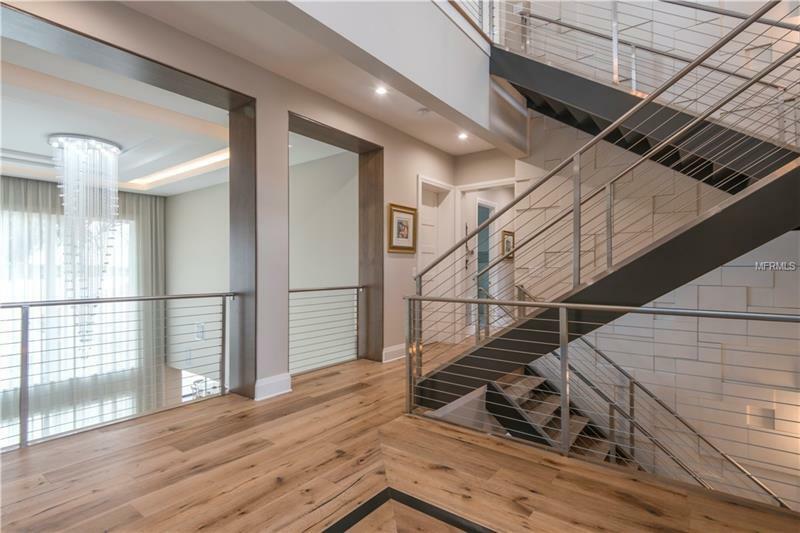 Oak wood floors complemented by sleek metal and glass light fixtures which illuminate this custom-designed home. 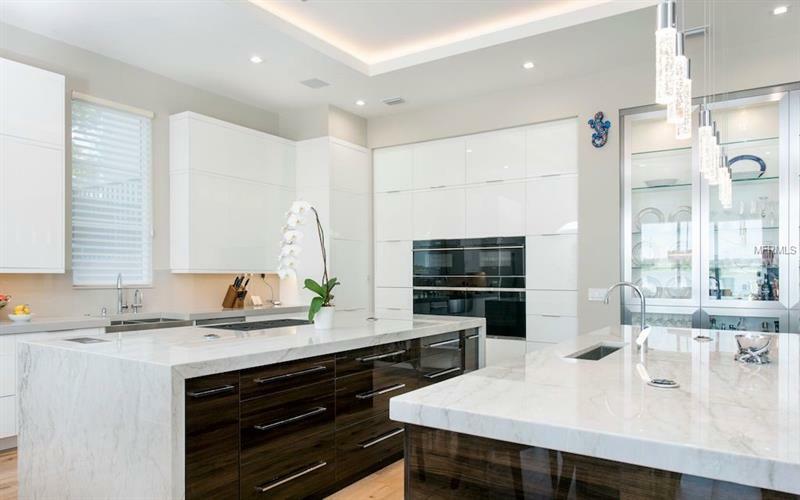 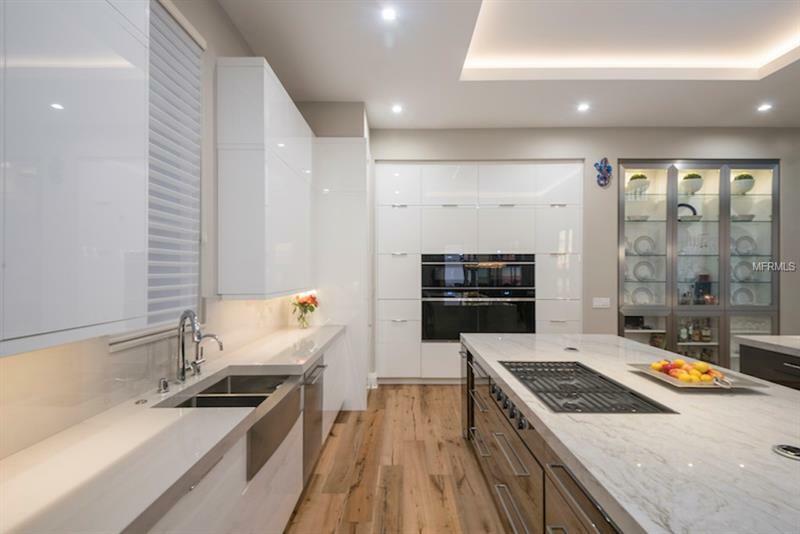 The sleek modern kitchen consists of a walk-in commercial fridge Wolf appliances including column refrigerator freezer two convection ovens steam and microwave. 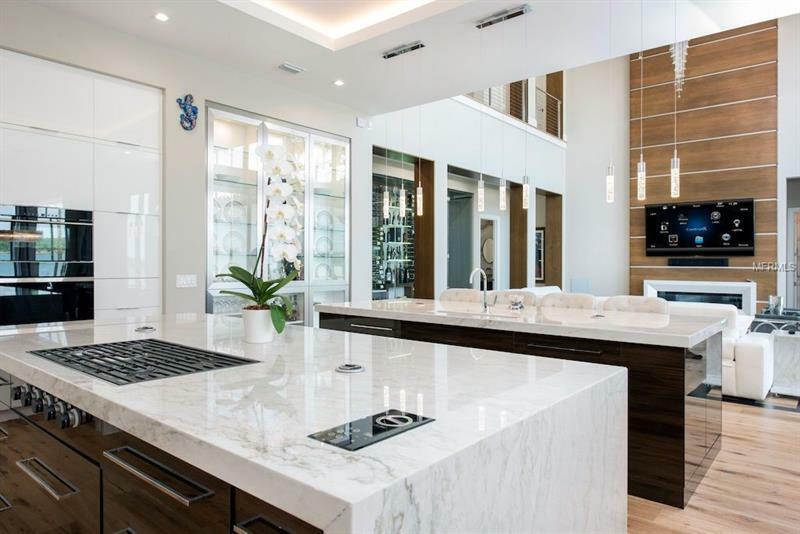 Flush built-in commercial gas cooktop built into center island anchored by the second countertop island with bar seating. 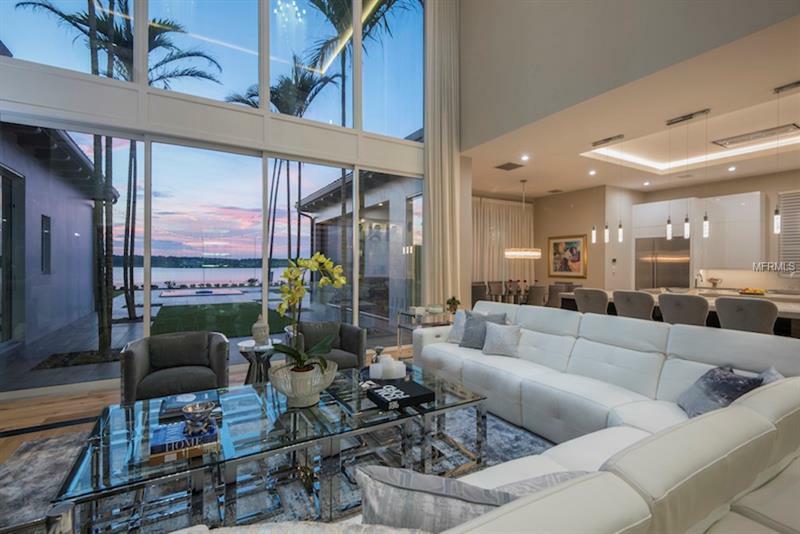 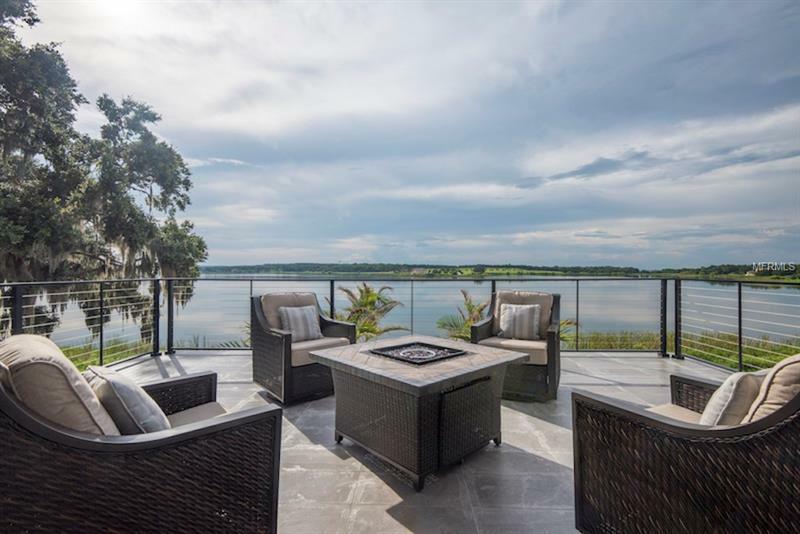 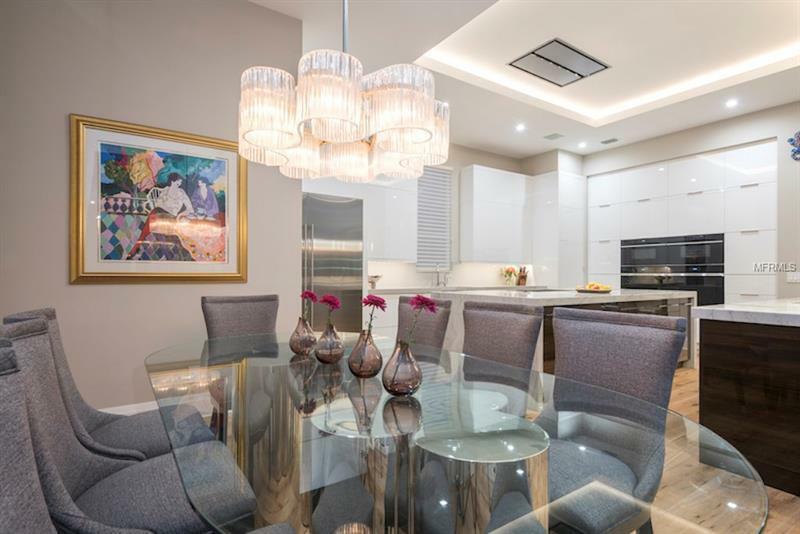 The kitchen opens to the dining and living rooms which overlook breathtaking water views. 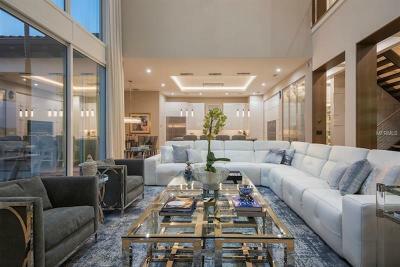 Two-Story glass and 18ft wide sliding glass doors open from the great room to the courtyard pool and spa area. 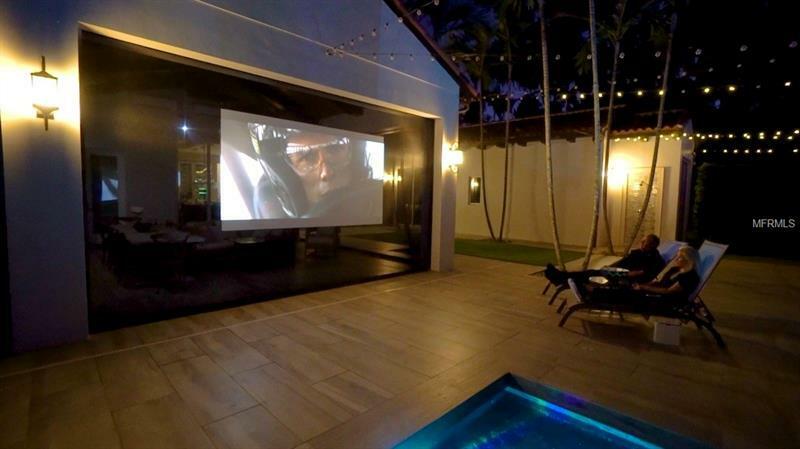 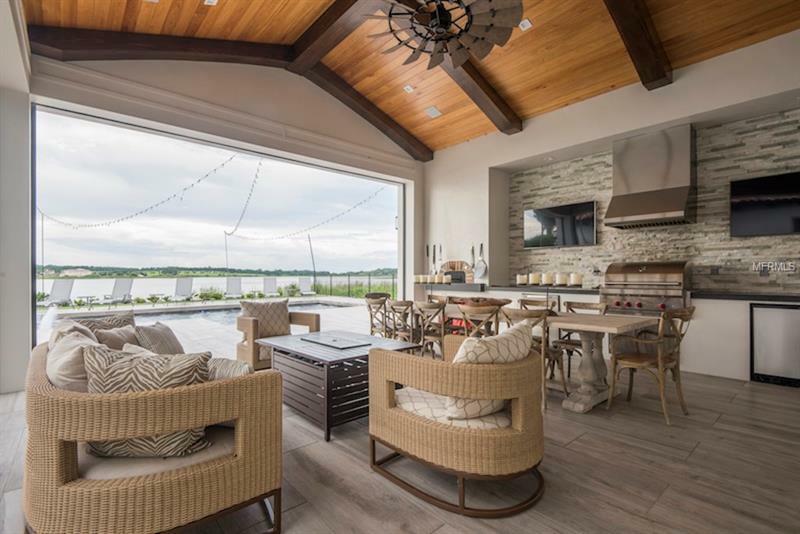 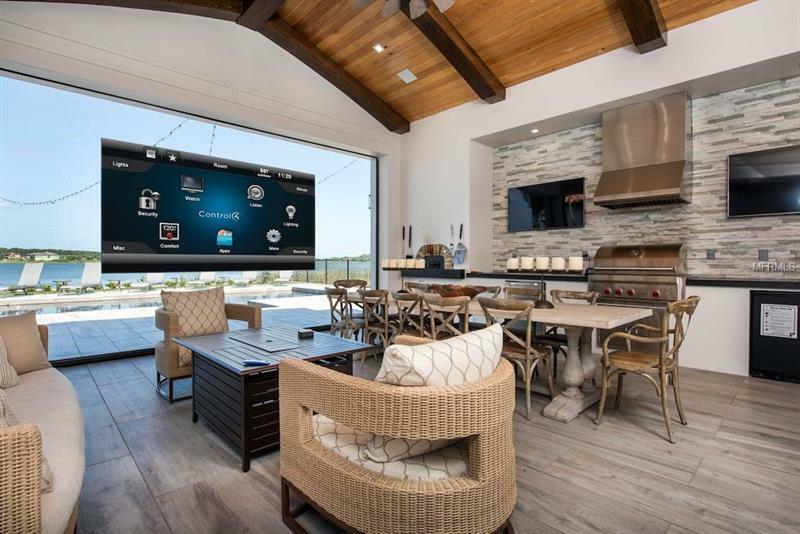 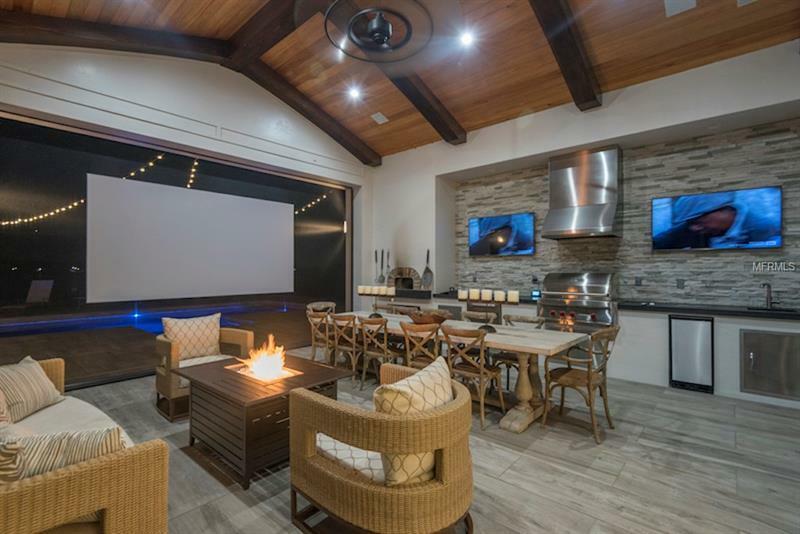 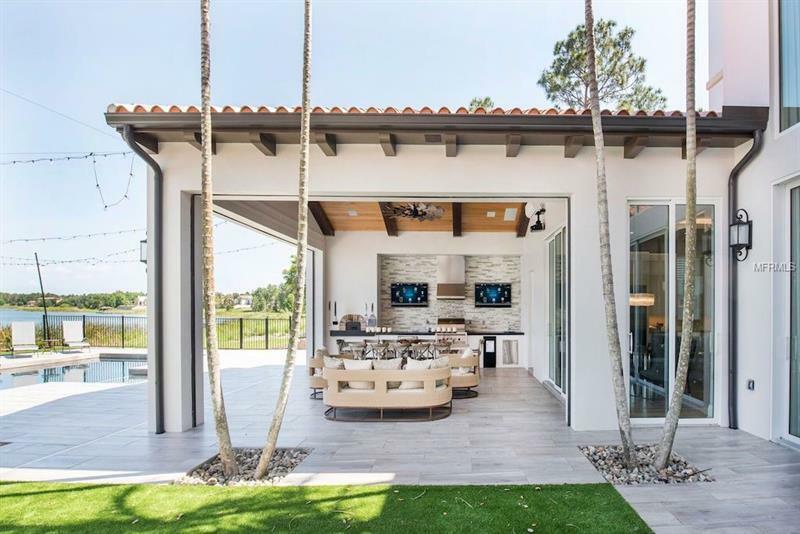 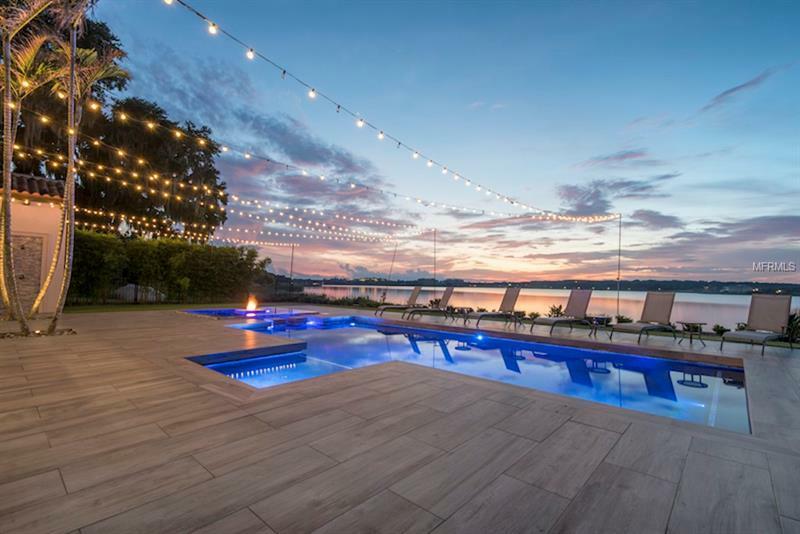 The outdoor living area has stainless steel appointments custom built-in pizza oven and is outfitted with retractable screens projector Media Roller Screen and a summer kitchen which gives flexibility to enjoy the outdoor area in any climate. 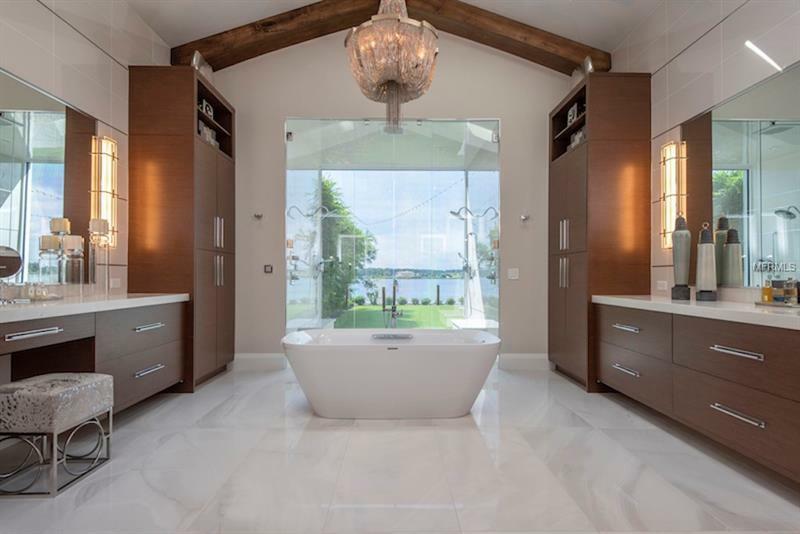 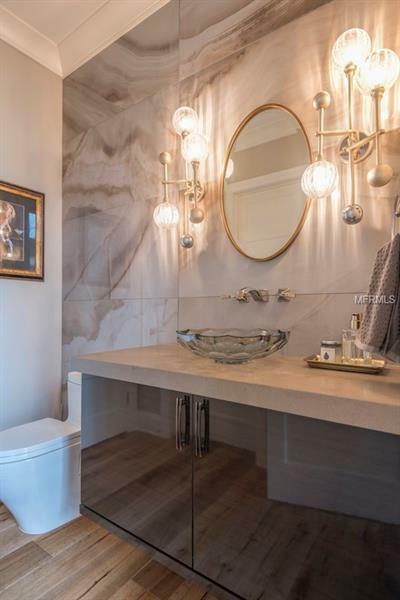 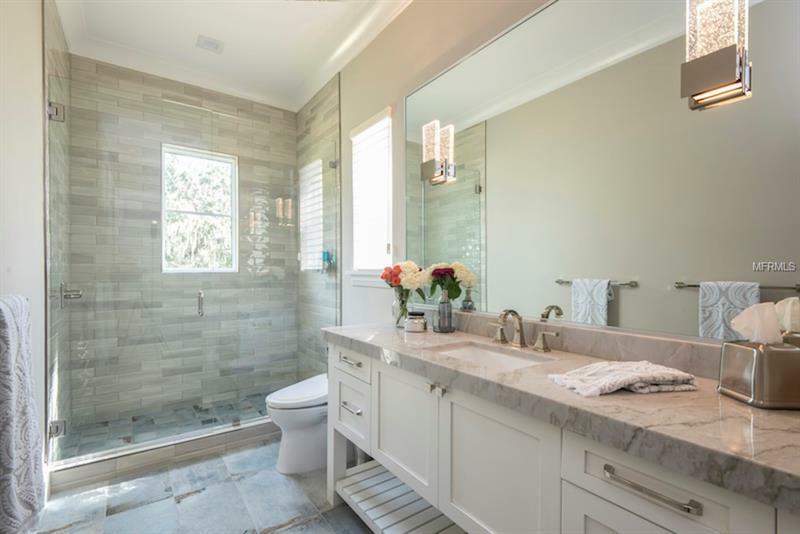 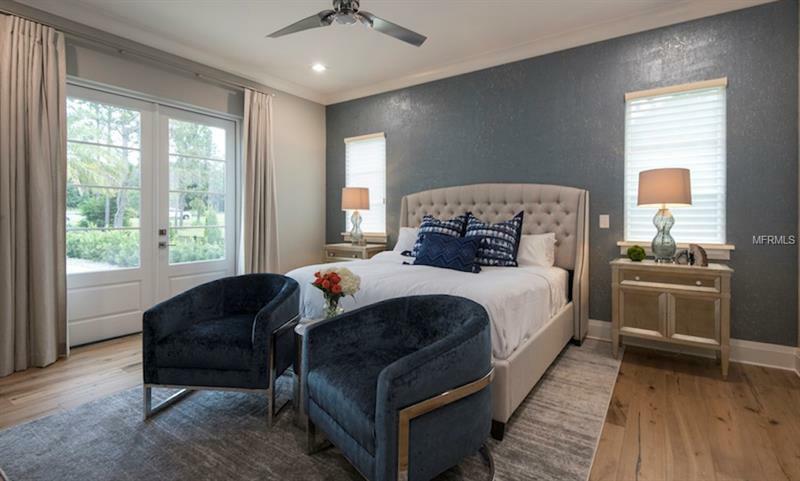 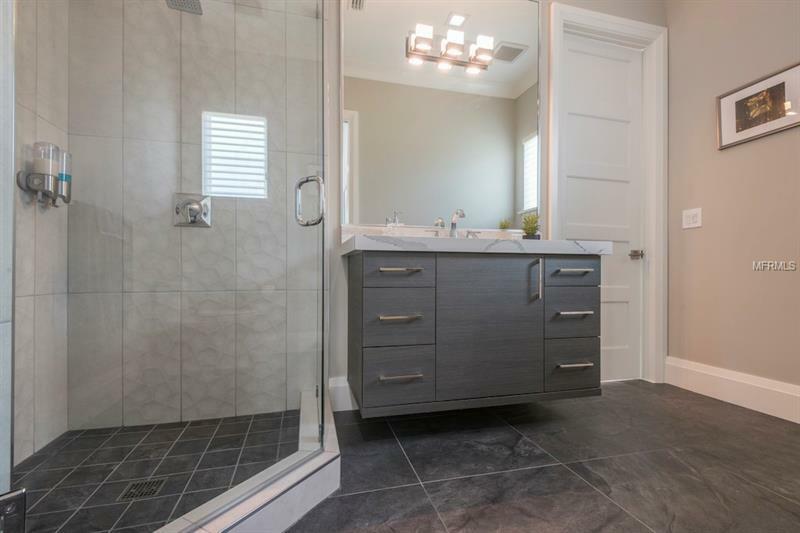 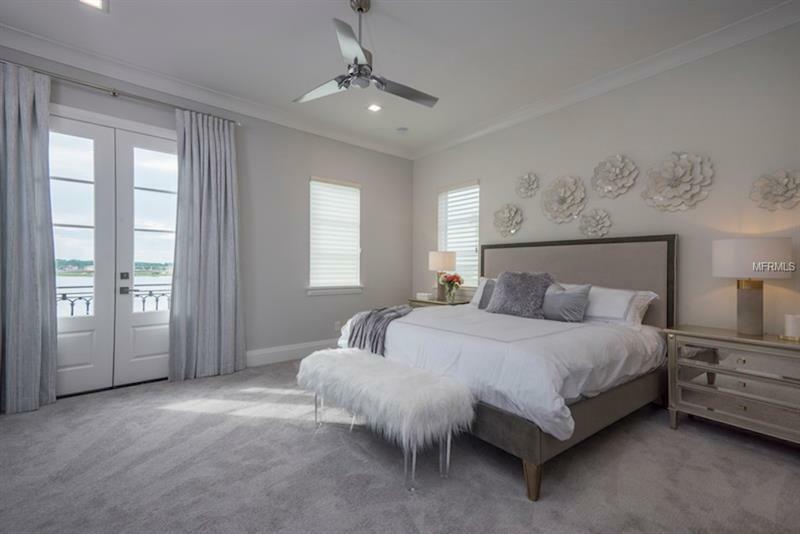 The master suite enjoys a beautiful master bath with dual sinks separate Toto toilets a floor-to-ceiling glass steam shower a free-standing Toto tub heated floors skylights and a generous walk-in closet.